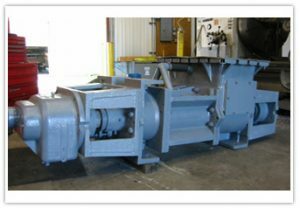 Warren® Twin Screw Thick Stock Pumps have been used in the pulp and paper industry for over 60 years. They are an essential machine for all mill production lines, and for that reason it is essential to have your Thick Stock Pump(s) running efficiently and reliably. Downtime to address repairs is costly, as is maintaining a spare Thick Stock Pump in the event of any outage. At Schurco we have mastered the repair and remanufacture of Warren® Thick Stock pumps to minimize costs for your operation. We have over 40 years’ experience both in the field and in the machine shop, with the ability to diagnose and repair any issue related to a Warren® Thick Stock Pump of any size; #11, 125, 135, 138 or even a 160. We are so confident in our ability to repair your Warren Thick Stock Pump we offer a 2-Year Limited Warranty on all repairs. We also offer a loaner program and Xchange program. To learn more about our repair services contact one of our engineers today or call (904) 356-6840 to speak with one of them directly.